No runaway brides here! 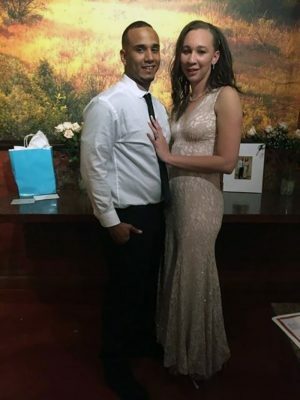 From Habitat for Humanity work project to wedding, GCU Enrollment Qualifying Specialist in the College of Education Laquisha Myles wasn’t messing around on March 9, when she volunteered with colleagues in the morning and then donned an exquisite gown in the evening to exchange vows with her now husband. 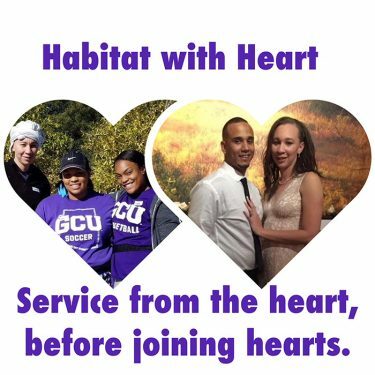 Habitat for Humanity liaison Cassandra Jarles said, “It truly was inspiring and humbling to see such commitment to the community from a GCU employee.” We agree – congratulations Laquisha!